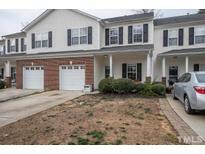 Find Holly Springs, NC Condos for sale. View Photos, Maps and MLS Data Now! 12 Oaks - Spacious Bedroom's & bonus loft. Nicest amenities around MLS#2248046. 1710. Forest Springs - Comfortable secondary bedrooms, functional laundry room and ample storage options wrap up the second floor. Just move in and enjoy! MLS#2248171. 4821. Quartz Countertops, Mable Cabinets & Counter-depth Island are some of the included Design Features! MLS#2247131. 3789. Twisted Creek - Upgraded features include fresh interior paint throughout. MLS#2246962. 4823. See on-site agent, home is currently under construction. MLS#2245943. 3789. 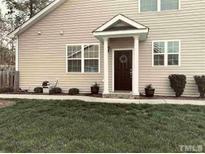 Convenient to I-540, W. E. Hunt Recreation Center, movie theater, shopping and restaurants. MLS#2245721. 1128. Oak View elementary is a short walk away. Fabulous club amenities. MLS#2244931. 2036. *Schools stated above are for the '18 - '19 year, according to WCPSS. Some schools may be capped. MLS#2242914. 4260. See on-site agent, home is currently under construction. MLS#2244210. 3789. Convenient to shopping, restaurants and schools! MLS#2243212. 1755. 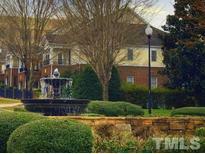 Arbor Creek - Easy access to I-540,Holly Springs Towne Center & Ting Park. MLS#2242959. 995. Clubhouse, Pool, Playground, and Covered Picnic Shelter! MLS#2242445. 1710. Main Street Square - all bed rooms have ceiling fun. MLS#2242068. 2412. 12 Oaks - Home Comes With Full 2 Yr Warranty MLS#2239068. 5026. 12 Oaks - Maintenance free/ resort style living at its finest! MLS#2233104. 633. Easy access to community amenities and shopping. Outstanding location. MLS#2234338. 4630. Great open floor-plan on perimeter of community backing up to a buffer area. Est. completion October 2019 MLS#2221705. 3789. Great open floor-plan on perimeter of community backing up to a buffer area. Est. completion Sept. 2019 MLS#2221702. 3789. Walking distance to schools, parks, restaurants, and the grocery store! MLS#2132185. 3789. Walking distance to schools, parks, restaurants, and the grocery store! MLS#2115499. 3789. Will have Lennar's 1-2-10 New Home Warranty MLS#2097484. 3789.